Let Barnes Exterminating handle all of your snow and ice removal needs this winter. We can provide one-time services or contracted services. Our contracted client base includes individuals (personal driveways), homeowners associations, office buildings, retail centers and commercial business parks. Once under contract, our well-trained and knowledgeable staff will be dispatched to your property any time snowfall accumulation occurs or whenever ice buildup creates a dangerous situation. 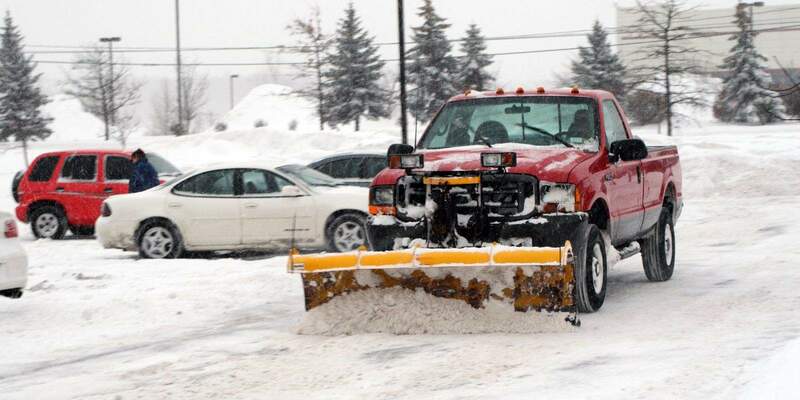 Our winter weather reaction teams consist of skilled plow operators to clear your driveways and parking lots as well as grounds crew members to shovel your walks and steps. Once the plowing and shoveling is done our team will then apply the proper amount of de-icing material to make your property safe. All of our de-icing material is safe for use on concrete and asphalt as well as plant material. Our 24-hour weather monitoring program is included in all snow removal contracts. We will continuously monitor the changing weather conditions and dispatch equipment and personnel accordingly. This service eliminates the need for you to monitor the weather during the day. It also allows you to sleep well at night knowing that if bad weather moves in, Barnes Exterminating will be on the job before your alarm clock goes off.